Who might have witnessed Carlisle's promise to Elizabeth Masen? This is a one-shot about the day Alec and Jane were changed. What made them become so bitter? This is my version of what happened to them to make them who they are as vampires. It's a story about how one mistake changed everything for these twins. "I understand the average vampire who regard Alec and me as particularly qualified for this life. In fact, they have plenty of names for us to reflect that: “witch twins” being one of them. They have no idea how right they are with that one, considering our family history." Emma is a terminally ill patient, under Carlisle's care. What happens when they form a bond? What happens when a Psych patient threatens everything? How does Edward take to the girl? And How will it effect Edward when she dies? Finished... but the sequal "Will You Have Gone Forever" will be posted soon! I like to think that, in the ‘30s, he and Carlisle met. This is the story of their momentous meeting. We know Edward wrote a song for Esme, but what if he also wrote one for Carlisle? A final confrontation between Esme and her former husband, Charles. What if Edward and James had met years before the baseball game? What if James' kidnapping of Bella was justified revenge? A Diary Entry from Esme, two nights after she has been turned into a vampire. What does she feel about her baby? Carlisle? Her new life? A one shot excerpt. I rated it anything - just a lot of hurt. Who might have witnessed Alice and Jasper's first meeting? How about we play a little game called Six Degrees of Separation? Carlisle worries that Jasper isn’t bonding with the family. When Alice goes on a shopping trip with the girls, Jasper suffers. This story has Alice/Jasper relationship and Carlisle and Jasper friendship. Hurt/comfort and angst are the main genres for this story. What was Alice and Jasper's first meeting like? How did she convince him to go with her to find the Cullens? Here is their emotional journey. It is 1918. Edward is dying in a Chicago hospital. He'd never thought about how he was going to die. Not really. For Bethaboo and TheEdwardEmmett's 'Make it Count' contest. Even seemingly perfect creatures struggle with their personal demons. How it happened. How it began. How it ended and how it was revived. This is the story of Esme Cullen. Guilt overwhelms Jasper as Alice silently stews. 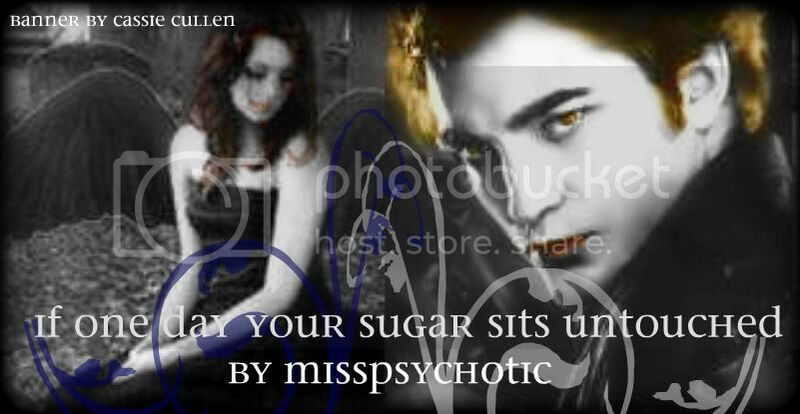 This story contains Alice/Jasper hurt/comfort and romance. If it is in facing life's big moments that we discover what we are made of, then it is the small, subtle moments of our lives that build the foundations of who we are to become. An Esme story in four parts.